Someone asked in the comments where the photo was taken so I thought I had best give some details. It was taken in Toronto at the Royal Ontario Museum. 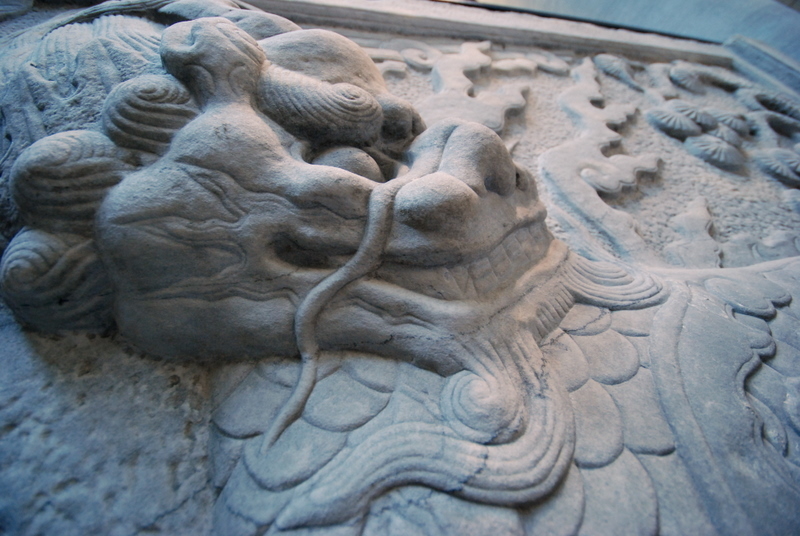 I called it “hidden dragon” partly after the movie 臥虎藏龍 (crouching tiger hidden dragon) but mostly because I think that this dragon had been hiding in the rock for thousands of years until released, or at least partly released, by the carving.